For Donna Allen, home design isn’t a process, but a passion. 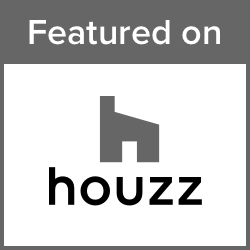 Working closely with husband Dave, she designs home interiors and exteriors for their building and renovation projects. Whether it’s a spec home or a room project, Donna oversees every element of the design process – from wrought iron exterior accents to cabinetry crown molding. The duo has worked with Habersham on a number of projects and when it came time to build their own home, they planned to use it in one room…and just kept going. Since the couple’s children and grandchildren lived in Raleigh, Donna and Dave decided to pull up stakes from their home base in Alabama and move to North Carolina. The neighborhood they chose was in the historic Five Points area of Raleigh, so it was important to the couple to design a home that not only worked within the architectural, landscape and other certified requirements of the neighborhood, but one that blended aesthetically with the other homes and overall atmosphere as well. Donna had found antique, hand-carved animalia designs from the 1800s and early 1900s that she wanted to incorporate to create a “Hunt” theme. Habersham‘s artisans worked with her to paint the designs and integrate them into the cabinetry. Playing to her sense of whimsy, there is a fox looking out from the range hood, while a dog searches for him below. Fish and fowl designs on hunt plaques tie the theme together, while Victorian rosettes above the integrated refrigeration complete the look. In the living room area, Donna wanted to find a way to create an Old World fireplace that could work with their TV. She drew the design and again worked with Habersham to create a custom design that effectively blended Old World sensibilities with modern technology. To provide dual workspace so their daughter would also have room to work when she visited, Donna and the Habersham team created a “workspace office.” Each side provides plentiful, practical room for a computer, dvds, and desktop. Designed to look like three drawers on either side, the space includes one top drawer while the bottom two are actually a single file cabinet. “The piece and its finish offer a comfortable, relaxed look, which is so important. You shouldn’t feel ‘afraid’ of using or damaging your furniture. Comfort is key,” she says. The master bath was designed with two opposing his and hers sinks. Donna wanted an elevated backsplash, which Habersham accommodated by providing a rounded front allowing the sink and faucet area to be pushed out further. A lovely guest bath also reflects the overall design style of the home with its casual bead board and soft, hand-styled finish. For the bedroom, Donna and Dave were able to order a customized addition to an existing piece of Habersham to make room for a larger TV. When they originally purchased the media center/sideboard 9 years ago, Habersham shipped it with a sample board featuring the finish from the piece. Donna was able to ship that finish board to the factory to use in matching the new piece that now sits on top and holds the TV. The addition is versatile too, as it is designed to either sit on top as shown, or be mounted on a wall. “If you can envision it, Habersham can create it–working closely with you along the way. It is a wonderful design partnership experience,” said Donna.